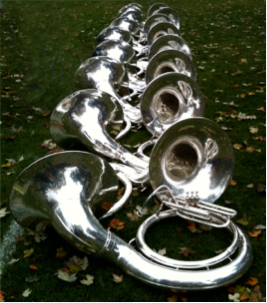 Wind & Rhythm is a one-hour weekly broadcast devoted to the music of Wind Bands hosted by Doug Brown. 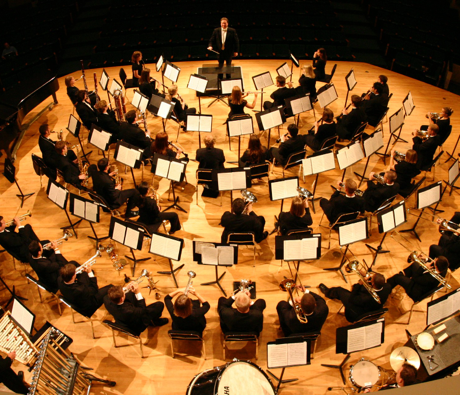 The show features Wind Symphonies, Wind Ensembles, Wind Orchestras, Concert Bands, Symphonic Bands, and Brass Bands with small brass, reed, and percussion ensembles too. Here on the website, check out “Host Post” for podcasts and other fascinating content. Five or six performers is all it takes to make some of the most enjoyable holiday music for both worlds... the sacred world of worship and celebration and the secular world of presents and jolly old Santa Claus... just five or six players is all it takes. For years I have been collecting CDs and even vinyl recordings of some great brass quintets and I want to share 9 ensembles with you... Each will get two selections, just to keep it fair. These groups come from all over the northern hemisphere. The program is simultaneously broadcast over the air and as a live stream on the internet during the broadcast hour. Check the stations below for streaming details.